Lindsey + Rashard marked the kick-off of our end-of-summer weddings, and we couldn't be more excited for both of them! The venue they picked was simply gorgeous (doesn't it show off their fun & romantic personality so well!? ), and their ceremony was one of the most genuine, most beautiful we've seen. 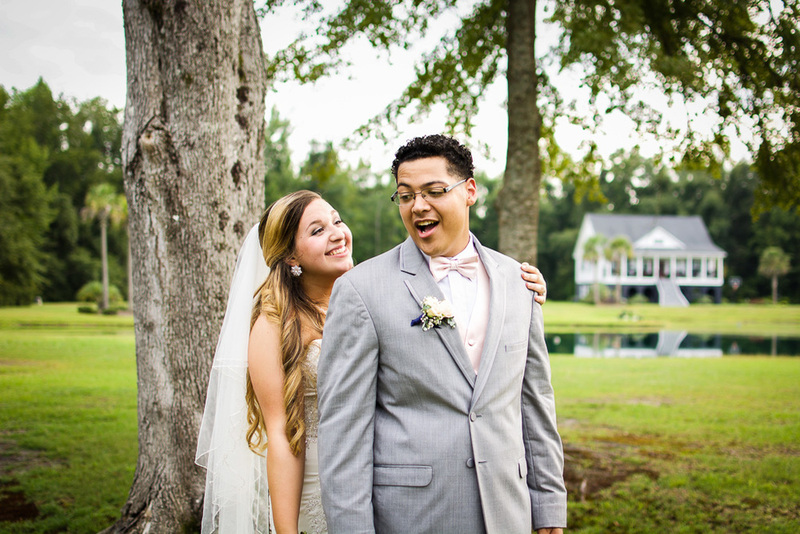 All it takes is one look at their faces to know how oh-so-in-love Lindsey + Rashard are. We are so honored they choose us to document their wedding day! To check out a more detailed look at their fabulous wedding day, take a peek at their collection! Their engagement photos are pretty rad, too! They say time flies when you are having fun, and I have to admit that for us here at Woven Strands Photography, nothing could be truer! This August officially marked one year in business. A year! Although we would still be considered babies in the photography world, I am overwhelmed and grateful for the amount of support and trust we have received since last August. We came into this business hoping to eventually switch to weddings, but we are so excited that within our first year we documented 15 weddings- and have more to come before 2015 closes! We have met the most unique, interesting, and romantic people we ever could have thought possible, from all different races, backgrounds, and religions. Because of our amazing brides and grooms, we are better people then we were before. and had fun with the most in-love couples. Yes, truly, we are the luckiest! Thank you for a stellar first year! Oh my goodness, the best way to describe John + Caroline's gorgeous rustic wedding is just all-over fun. This young couple (originally from New Jersey) knew how to throw a fabulous ceremony + reception- but still took the time to consider the weight of the commitment they were making. Love what you see? Take a closer look at their wedding day!